Is there anything more enjoyable than the occupation with natural and renewable resources? Not really, as our high-circulation holzmagazin shows. 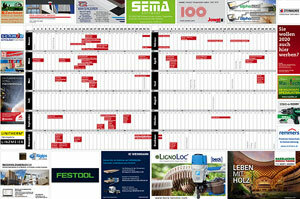 In the magazine, you will find objects with a WOW-effect as well as novelties in the field. Join us! 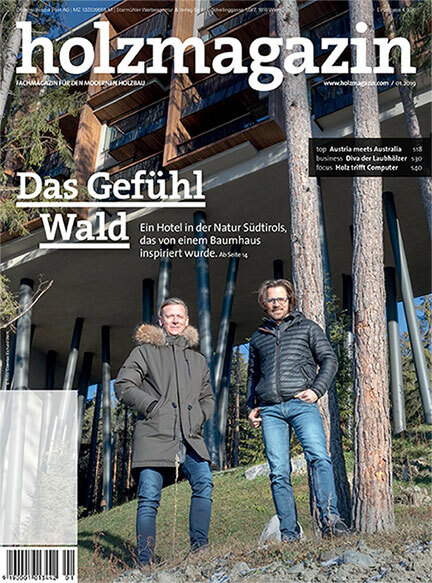 The online-platform holzmagazin.com and the print-magazine holzmagazin feature information on current developments in the field of timber construction. Exciting objects combine sustainability and architecture and impress with what is possible in timber construction. 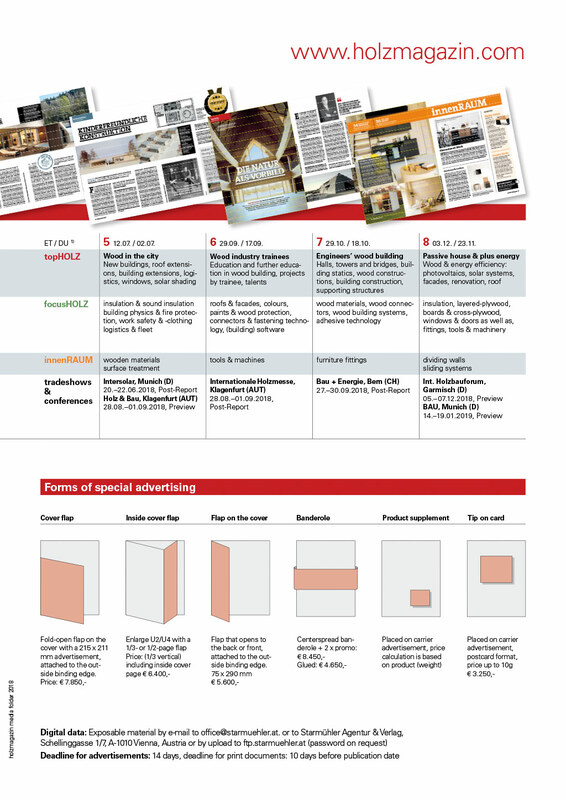 The independent special interest magazine, issued eight times per year, has a circulation of 13.800 per issue. Our target groups are timber developers, architects, planners, carpenters and woodworking companies in Austria and Germany. Comprehensive professional articles provide insights into the daily routine in woodworking companies introduce novelties and report on current challenges in the field. 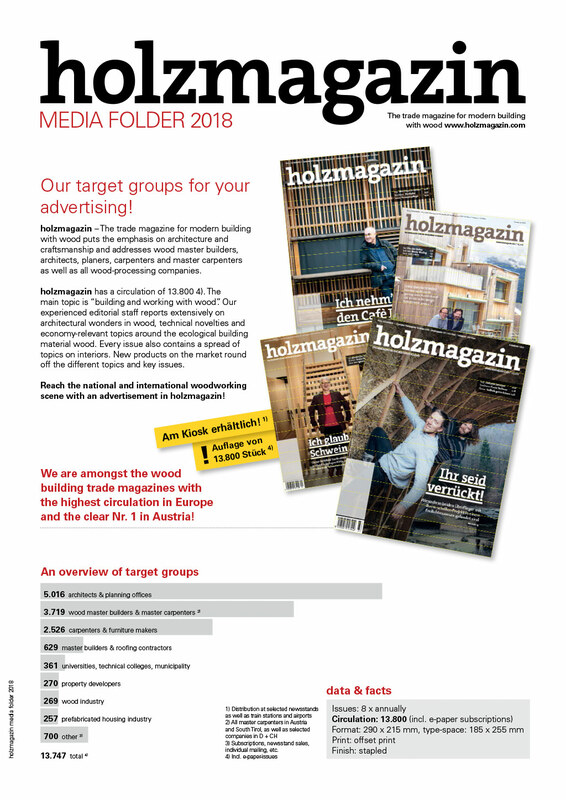 Use holzmagazin to present your products and services. 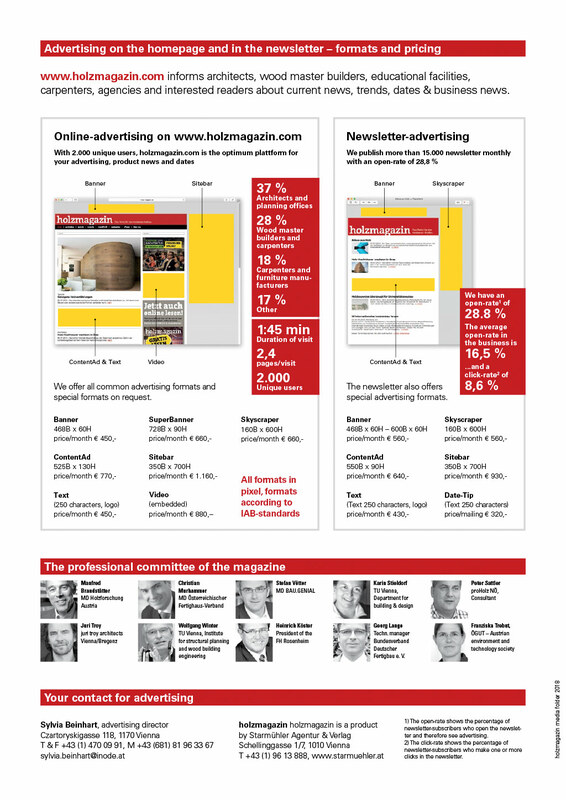 Promotions in the print-magazine as well as banners on the website and in the email-newsletter convey your message directly to the implementers. target groups: architects & planning offices, timber developers and master wood builders, carpenters and furniture makers, builders and roofing constructors, educational facilities. content: architectural wonders of timber construction, technical novelties as well as economy-relevant topics on the ecological construction material wood etc. 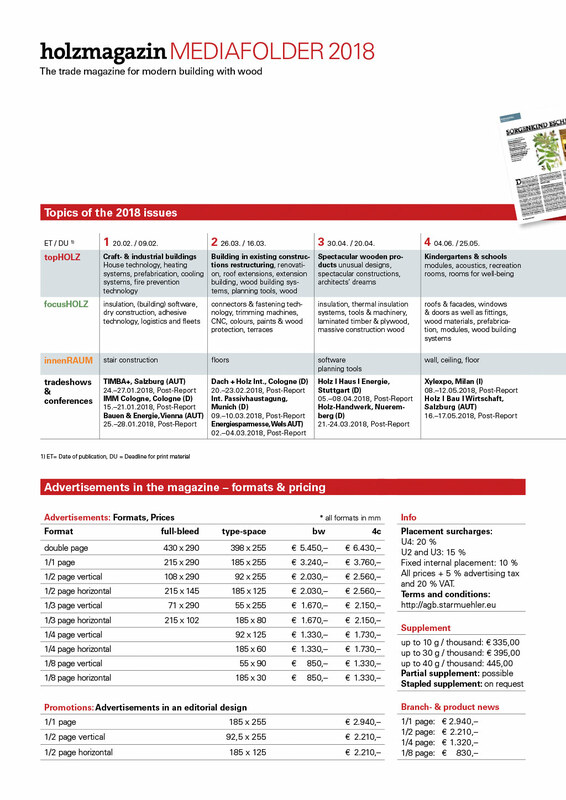 You can download the Media Folder 2018 incl. publication dates and key topics here.